So the majority of the world probably has never heard of this and to be honest neither had I until about 4 years ago. It is a form of muscular dystrophy. Basically all your muscles will no longer work and that is how you go. My one brother had weird things that started happening to him at the age of 12. His fingers would go numb, it was hard to open his hands at times and his speech became noticeably different. My parents took him to all sort of doctors and no one could come up with what it was. They said everything from him just being shy to having arthritist to it just being in his head. As the years went by thing didn't get better they got worse. 4 years ago he had pretty good health insurance so started to get tested and still nothing until he found a doctor who was able give him to insite into what he might have. That was the first time we had ever heard of myotonic dystrophy. None of us understood this or what it was. Now that a few years has gone by there does not go a day that I don't think of this. My brother's situation will not get better it just gets worse and there is no treatment or therapy or anything that he can do to slow it down or to stop it. I have done a lot of internet research on this and so I am now fully aware of what this means for my brother. I wish that was the end of it but its not. My other brother and sister also have the same symptoms or similar ones as my older brother. They have not been diagnosed but we now understand that they most likely have this. My heart breaks for them. I feel so guilty at times that I am the only one who doesn't not have this. I saw a genetisist while pregnant to see if I had this and if my son could have this. It turns out I am the only sibling who doesn't. Just last week my brother was at one of his appointments and the doctor let him know that he probably won't live past 50. My mother was the one that call me to tell me this. I have been having a hard time sleeping since cause I cry a lot at night. I feel so bad for my brother. He means the world to me. I honestly don't know how he deals with all of this. He is such an active person, he runs, loves swimming, does road biking and mountain biking, loves hiking. This I know has been so hard for him. I just pray that a miracle happens and doctors can figure out how to treat this. It is such a heart breaking thing to watch your siblings suffer this way and to see my mom and the pain and guilt she feels knowing she is the one that past this onto them. I know this life is all about learning from your experiances and hopefully becoming a better person so I am just trying to really see what it is that I need to learn from all of this but I tell you this is not easy. HI laura my name is Michelle I live in Provo it is nice to meet other people in Utah with this condition. I also have MMD and so does my daughter she is only 1 year and 9 mo. old. We found out she had it at birth as does my older and younger brother so I know what you're going through. I know they do testing at Athena Laboratories its on the eastern side of the states through blood work to see how many abnormal genetic repeats he has. I don't know if he's done that or not if thats how they found out he has the disease. Anyway depending on the number it gives you a general idea of how bad the disease really is. 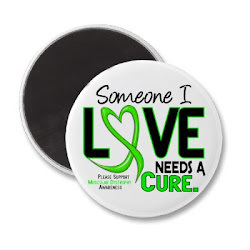 One thing you need to keep in mind is is that this disease is very different for every person. My older brother has a very severe form of it while me and and my younger brother have a relatively normal life. I also have my hands locking up as well as the muscles in my legs and feet but I still get along, as well as all the other symptoms. There is a lot the learn about and a lot to know if you or he would ever like to talk I would be happy to help. There are also support groups they meet up in Taylorsville every second Saturday of the month. You can also visit the MDA clinic they are up by primary childrens they see this all the time and can help too. I am praying and hoping for a cure for Myotonic Dystrophy. I lost my fiancé seven months ago. He was only 53. He suffered with multiple symptoms. Christopher is my hero, he fought a courageous battle. God bless and help everyone living with Myotonic Dystrophy and may He give strength to their families and caregivers. Keep fighting, never give up! Hi. I am 20 and have this condition. However, I hear that they are working on treatments for this and ways to improve quality and length of life. Just a month ago I had surgery for a pacemaker because this condition can affect your heart. I am located close to UVA hospital in Charlottesville, VA and I have heard really good things about Rochester, NY as well. Both sound like a long trip for your family, but they may be worth checking out. These are two of the best hospitals in the country for this condition. I hope this is a help for you.